Have you ever seen a product more photogenic? Seriously I cannot get enough of photographing this. Hence the photo heavy post. But looks aside, it is a pretty fantastic product too. I picked up LUNA in the CultBeautyXLydiaEMillen collaboration, where there were some pretty incredible savings on some fantastic products. So I was so excited to try this one out. 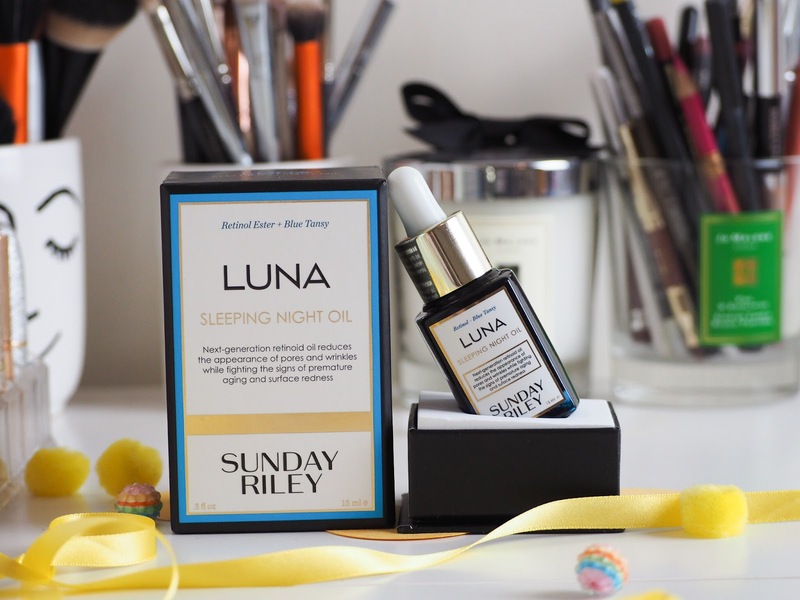 The Sunday Riley Luna Sleeping Night Oil is known mostly for its bright blue colour. The product is well known and loved in the beauty community for being the go-to anti aging miracle serum looking to erase signs of aging and skin damage. There was so much hype around this product on first release, and for good reason too, it really is so lovely to use. 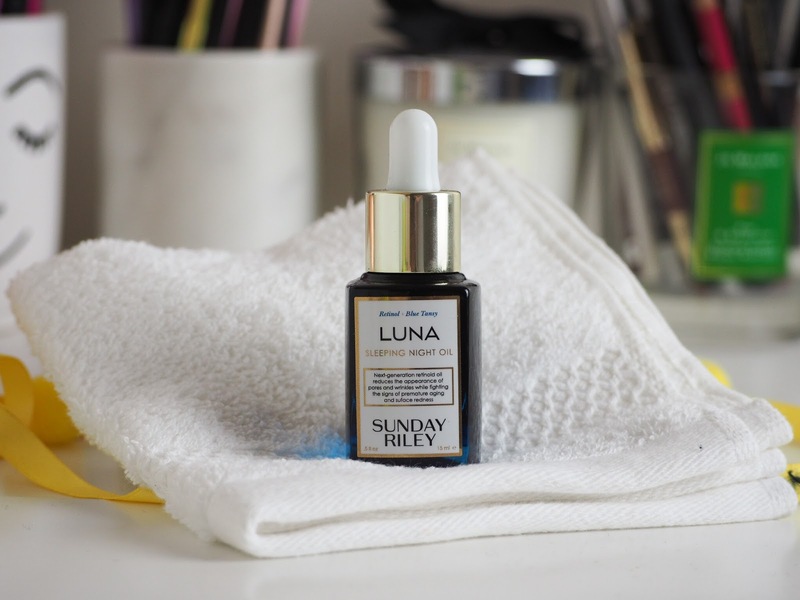 "Phenomenally potent, Sunday Riley’s ‘Luna’ is a retinol-rich night-time treatment which works to reduce signs of ageing as you slumber. 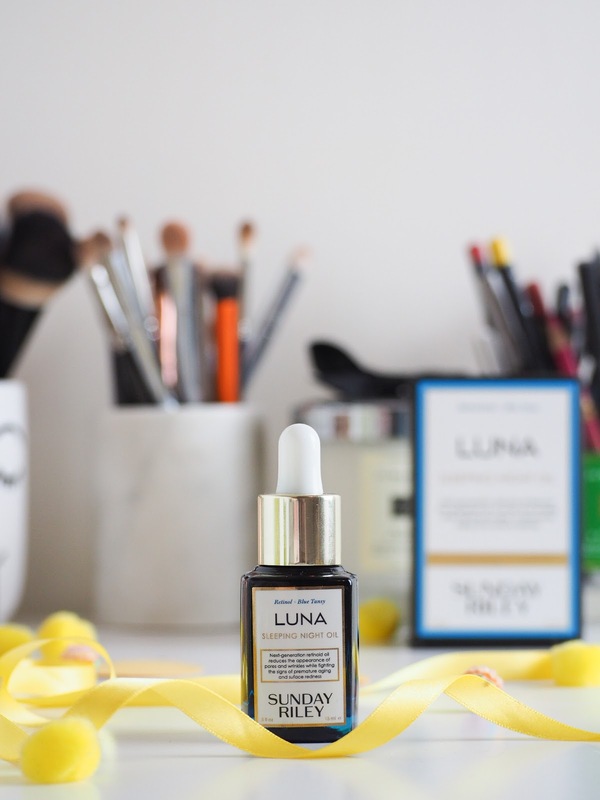 With an advanced retinol complex, Luna Sleeping Night Oil helps to lessen visibility of lines and wrinkles, while correcting signs of damage caused by sun, time and everyday exposure to pollutants. Just warm a few drops of the brilliant blue elixir between your fingertips, then press and massage into clean, dry skin before bed – the replenishing oil intensively hydrates and stimulates sluggish cells to encourage repair and renewal processes. Collagen synthesis is increased and elasticity enhanced, while cold-pressed extracts of avocado, chia and concord grape seed combine to promote skin’s strength, resilience and radiance." I have loved trying this, it is such a luxe item and definitely feels luxurious when you are using it. I have noticed a visible difference in spot scars and just the overall appearance of my skin, so I cannot deny it does work. The scent is definitely a hit or a miss - either love it or hate it. I find it unpleasant - not to the point it puts me off using it, but it definitely isn't something I would want to smell like for long, but luckily the scent does fade, leaving your skin feeling hydrated (even if you do look like a greasy smurf). I will not however, be repurchasing this. My skin concerns at the moment are to do with my spots, texture and redness - think spotty teen, so I have found to prefer investing in products which look to combat that instead. The price point is also pretty high - to match the ingredients this product has. £45.00 for 15ml to be exact. If you are looking to keep Retinol in your skincare for a smaller price tag. The Ordinary offer a basic product at £5.80 - a fraction of a cost - if you are willing to sacrifice the fancy skincare routine that is. Overall, I do really like the product, I just cannot justify the repurchase with other skin concerns at the moment, but I would recommend to anyone looking to fight signs of aging, which getting a luxe vibe from your routine with some pretty incredible ingredients, this one will be one you love and look forward to using - and I know I will be gutted when mine finishes.